All photographs courtesy of Linda Saltzman McCall. Husband of Elizabeth (Rutter) Ball, 1st, married 20 Oct 1801; and Nancy Cynthia Rutter Ball, 2nd, married 18 Feb 1855.
nee Rutter. 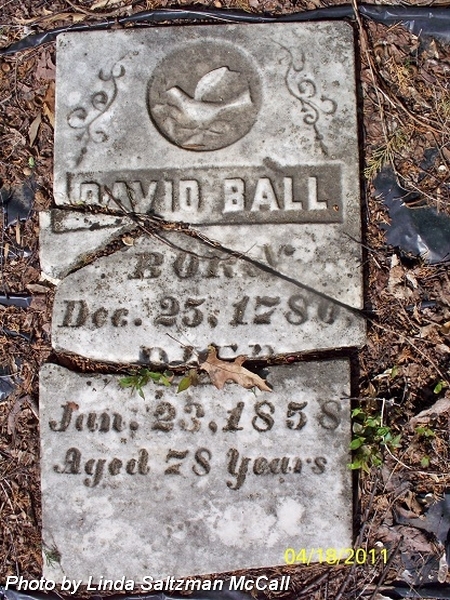 First wife of David Ball. Married 20 Oct 1801. Daughter of William & Amey (Crumb) Rutter. 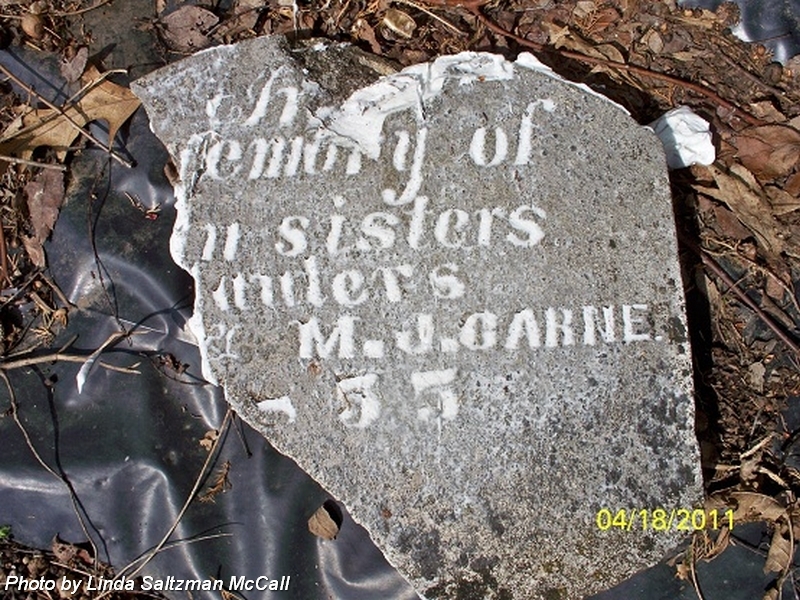 "Twin daughters of William & M J Carner." 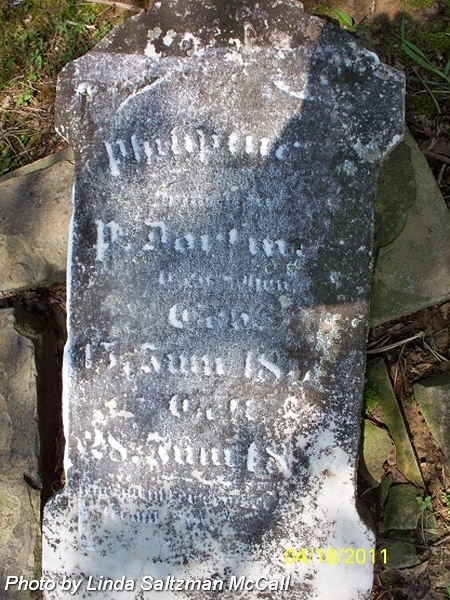 Daughter of P or B Darfin. 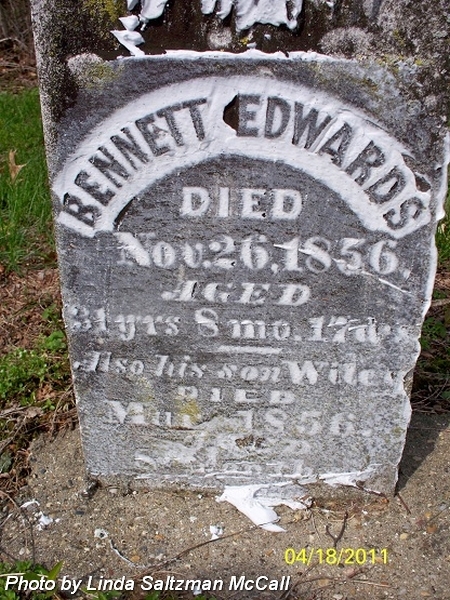 Husband of Martha (Cross) Edwards. 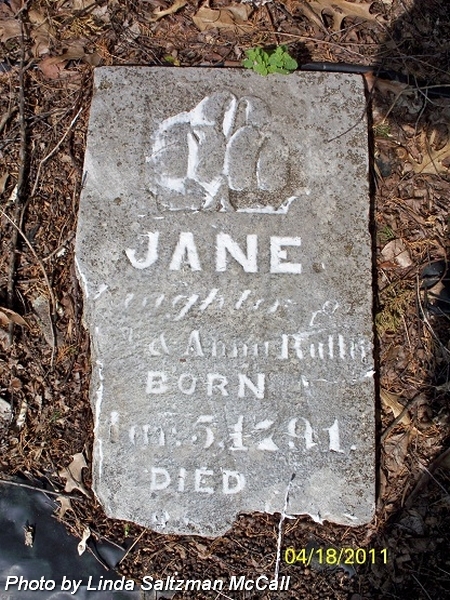 Married 8 Sep 1840. Aged: 31 yr's 8 mo. 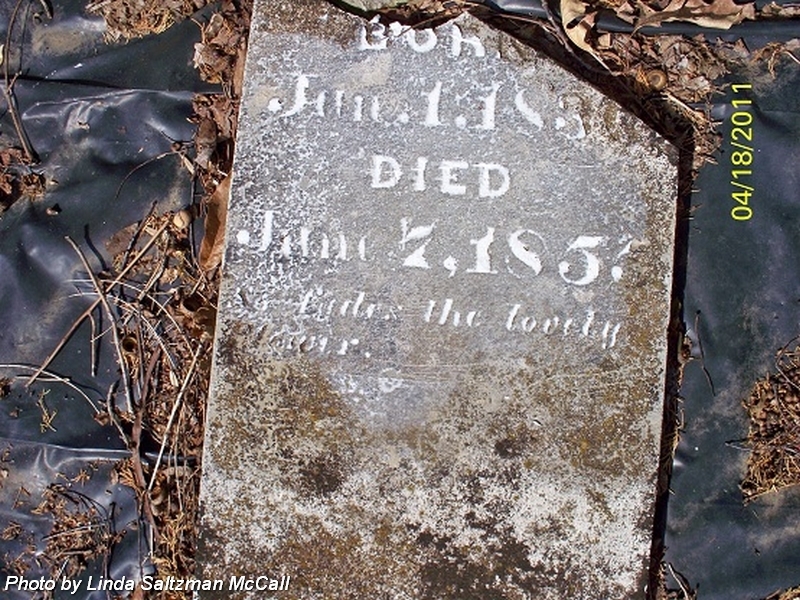 17 d.
Note: "Also his son Wiley"
Son of Bennett & Martha (Cross) Edwards. 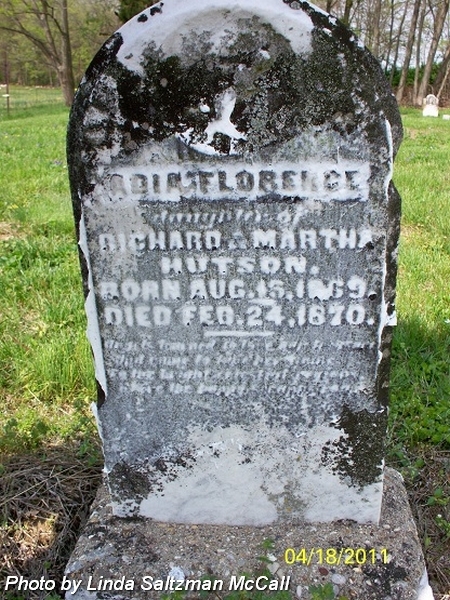 Daughter of Richard H & Martha (Rogers) Hutson. Husband of Martha Ira (Underwood) Hutson. Married 15 Dec 1825. 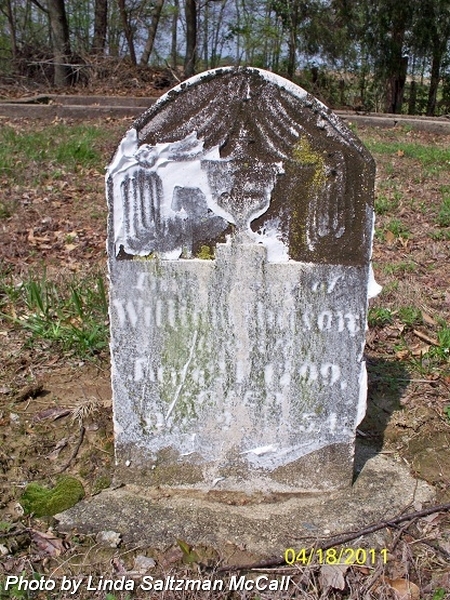 Son of William D & Mary Rebecka (Baker) Hutson. 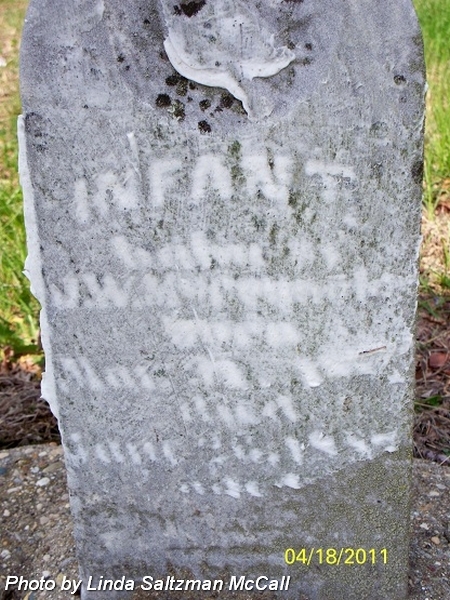 Infant baby of J W McReynolds. nee Ball. 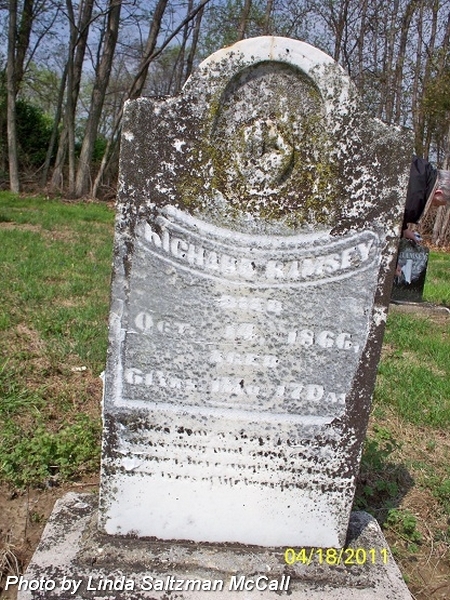 Wife of Richard Ramsey. Married 17 Mar 1825. Daughter of David & Elizabeth (Rutter) Ball. 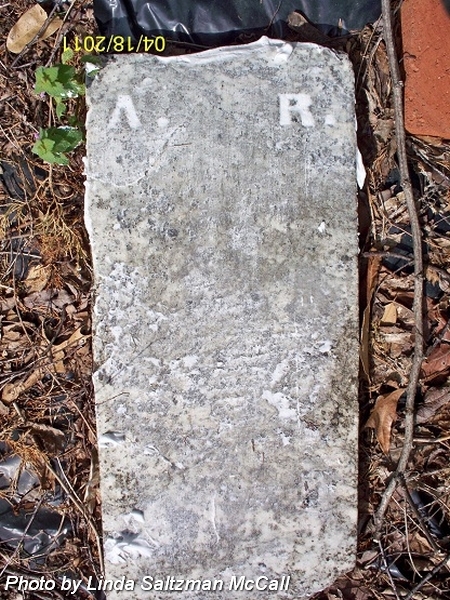 Note: There is a footstone with initials: A R.
Son of Richard & Anna (Ball) Ramsey. Aged: 11 mo. 15 ds. 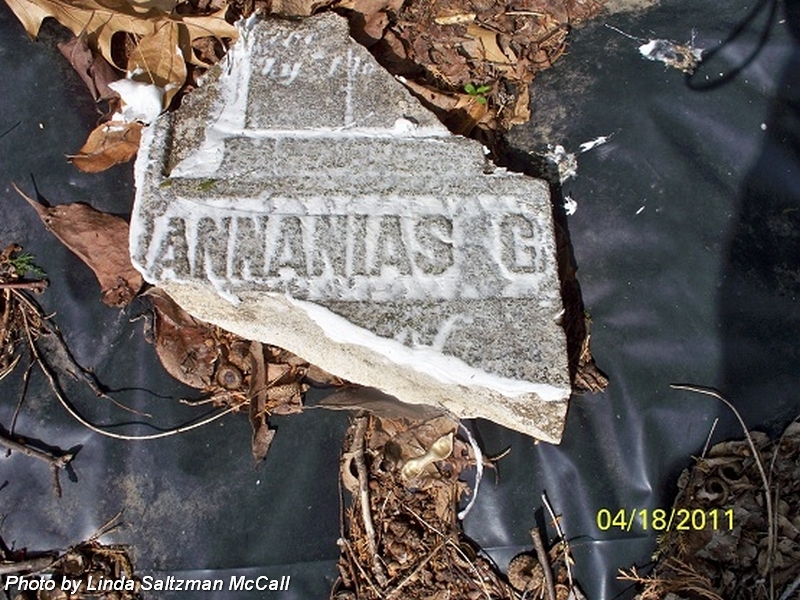 Note: Pieces of headstone are in two different locations. 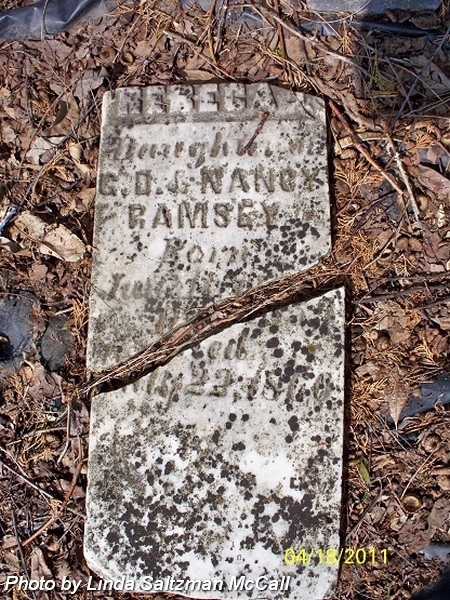 A footstone also apparently belongs to this burial; initials, A G R.
Daughter of George David & Nancy G (Hays) Ramsey. 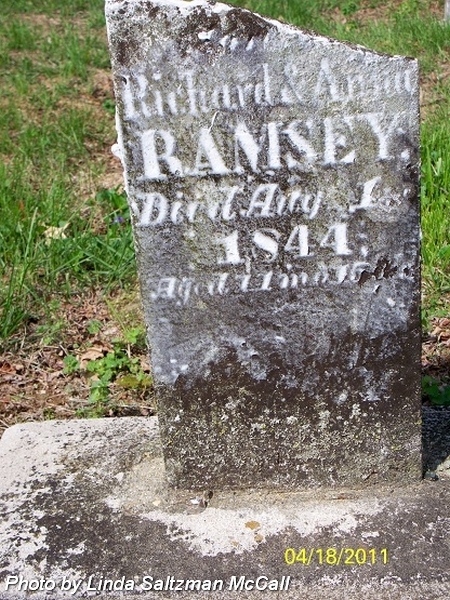 Husband of Anna (Ball) Ramsey. Married 17 Mar 1825. 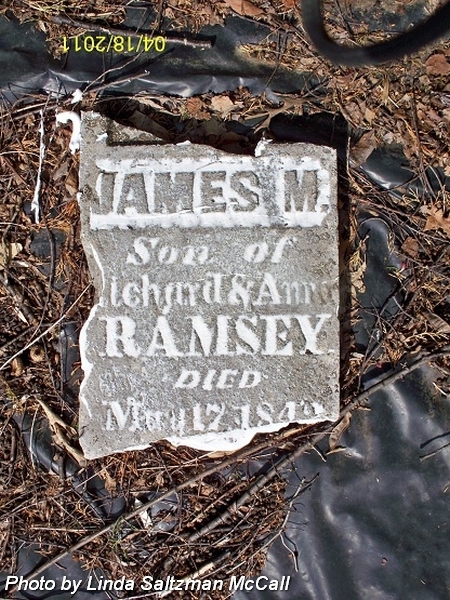 Son of George M & Polly (Hobson) Ramsey. Daughter of William. & Anna (Crumb) Rutter. 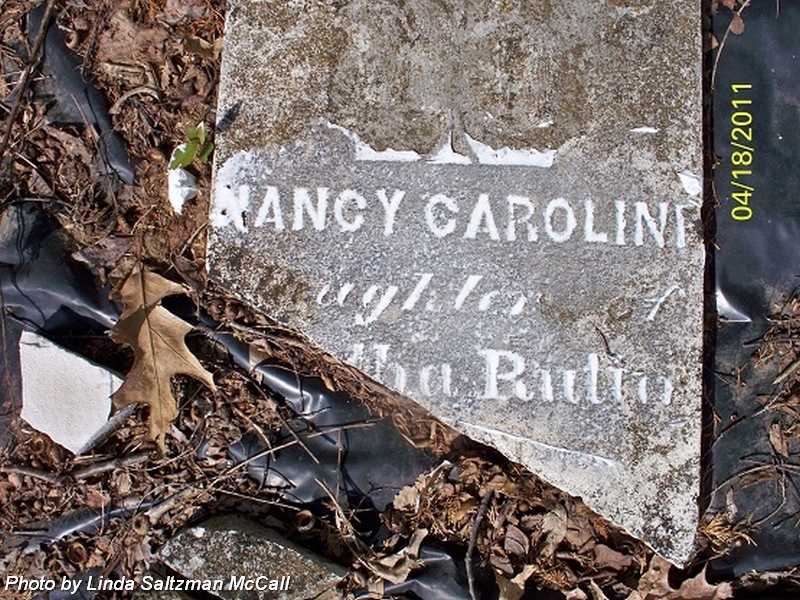 Daughter of Cynthia Rutter Ball. First husband of Nancy A (Alldredge) Venable Barton. 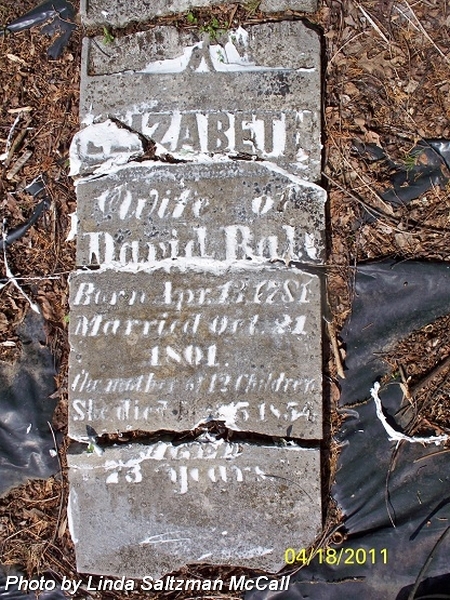 Married 11 Oct 1863. Son of Henry & Barthenia (Ball) Venable. Aged: 23 ys. 4 ms. 2 ds. Pvt. Co. K, 10th Indiana Cavalry. Enlisted at Mount Vernon, Indiana in the 125 Regiment, Company K, on 6 Mar 1864. Mustered out on 31 Aug 1865 at Vicksburg, Mississippi. 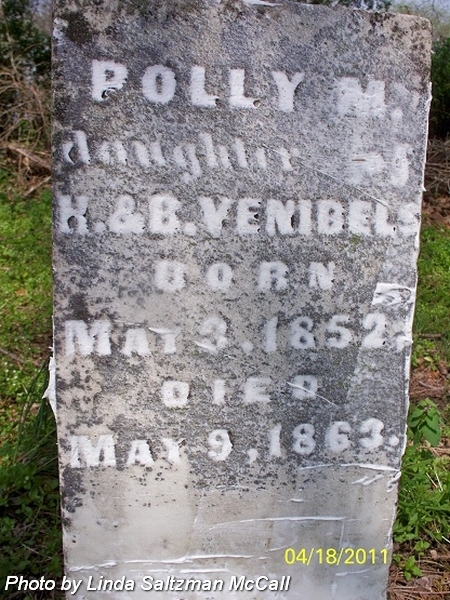 Daughter of Henry & Barthenia (Ball) Venable. 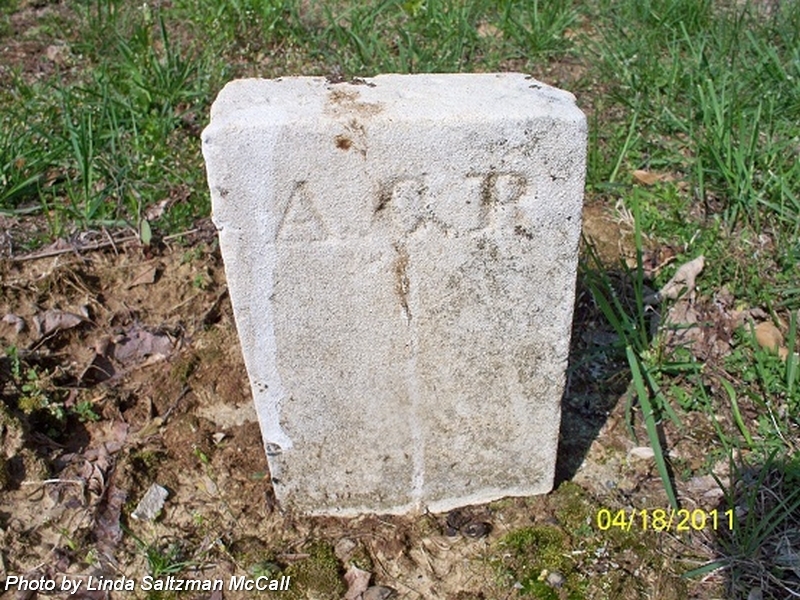 Husband of Martha J (Ball) Wallace. Married 23 Jul 1833. 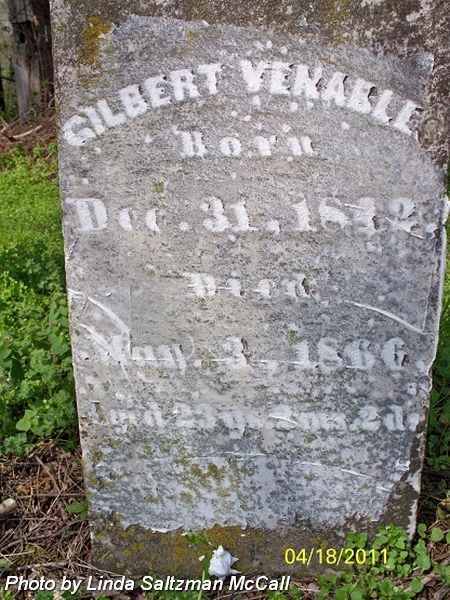 Note: Information from obituary in Poseyville News, 3 Nov 1887.
nee Ball. Wife of Herbert Wallace. 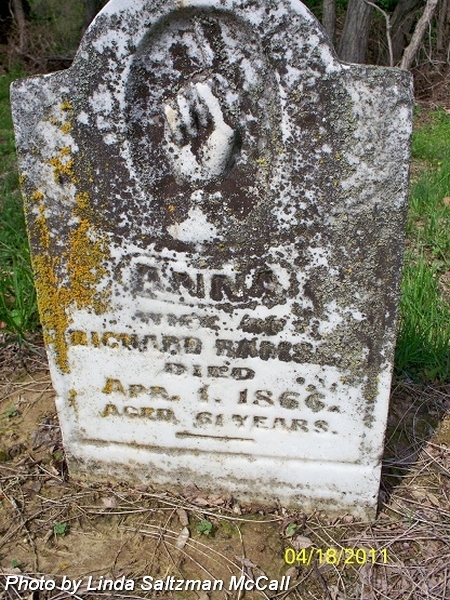 Married 23 Jul 1833. Daughter of David & Elizabeth (Rutter) Ball. 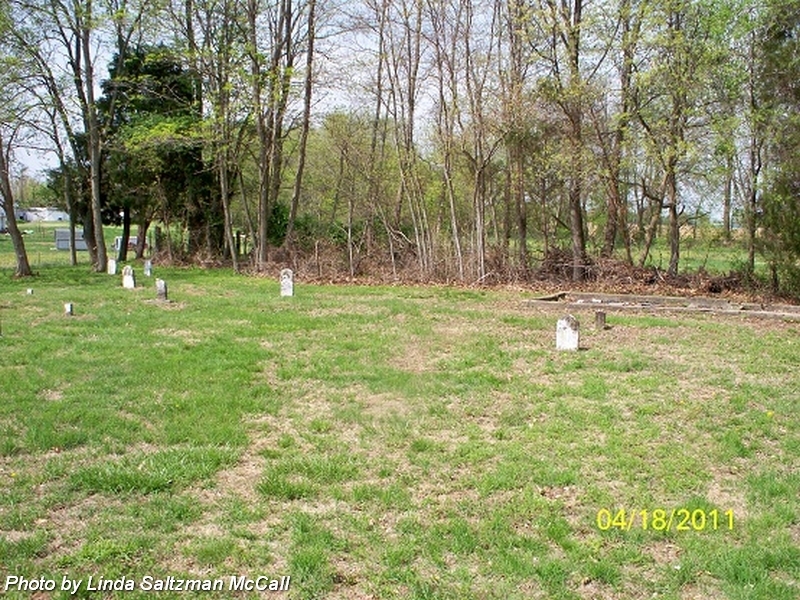 View of cemetery from Shireman Road. 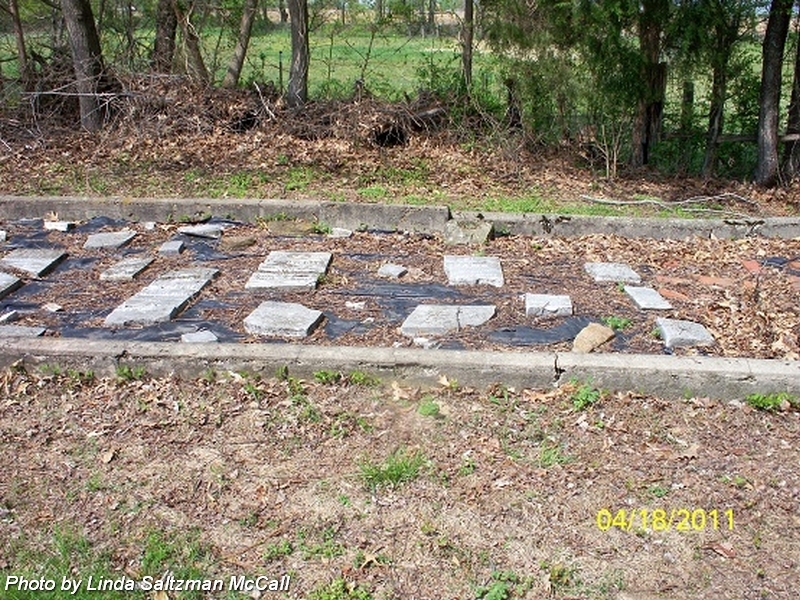 Broken headstones in Herrman plot. 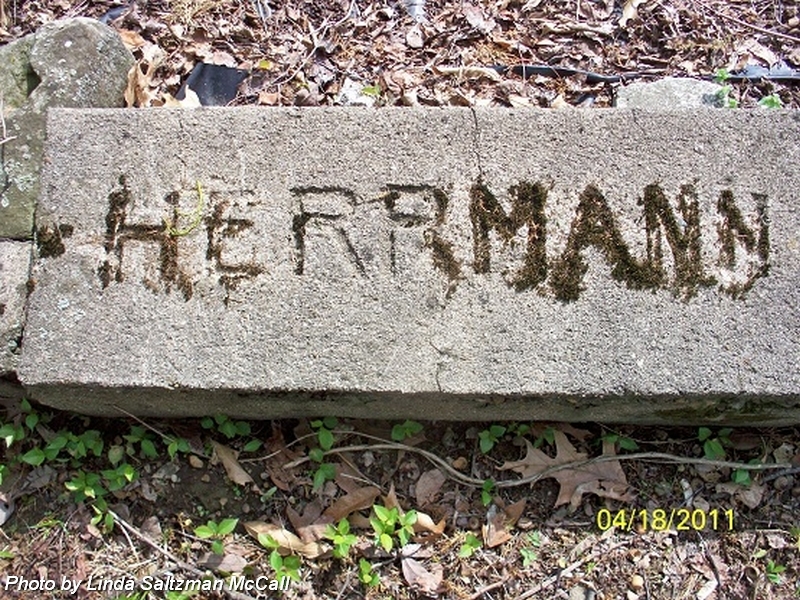 Herrman plot. 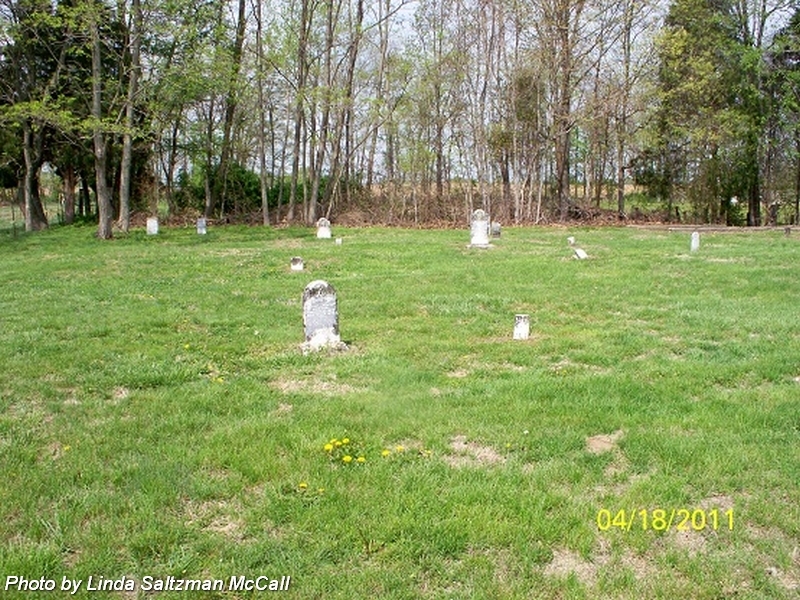 No individual burial found.